On this page, you will find all the cheat codes for LEGO City Undercover on Nintendo Switch (but also PlayStation 4, Xbox One, and Steam, since the cheat codes are the same on all platforms). Those can be used to unlock various goodies in-game, such as special vehicles, but also special costumes for Chase McCain. NB: the page is still under construction, and therefore, is still missing plenty of codes. 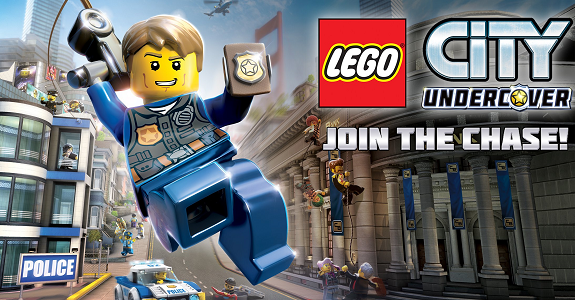 After all (as of writing) LEGO City Undercover only came out last week, so please come back later for more codes. Have a code that’s not listed on this page? Please make sure to let us know via the comments or on Twitter! NB2: the cheat codes from the Wii U version of the game, as well as LEGO City Undercover: The Chase Begins (on Nintendo 3DS) do not work in the Nintendo Switch (and PlayStation 4, Xbox One, and Steam) version. This post is part of our Games Extras section! Thanks for the report, and sorry for the typo with the Roman Soldier code.